Iowa-based Accumold has been busy with expansion, growth, and innovation. Vice president of marketing and customer strategy, Aaron Johnson, shares Accumold’s thoughts on micro moulding, medical manufacturing and the future of the industry. What kind of growth has Accumold seen of late? What makes this addition so special? We built ‘Building Three’ as a hardened structure designed to withstand EF-5 rated winds. It was constructed with its own independent operational plant with back-up sand redundancies for continuous operations. This structure is unique to our dedicated industry. For many of our customers we are the sole source for their critical components. To provide an assurance of supply we built this super-structure to offer this capability. We can run redundant presses in multiple locations in our factory without having to lose the main efficiencies of the vertical integration of our tool build and manufacturing processes. The structure was also built as cleanroom manufacturing space. This gives us a total of eight clean manufacturing spaces adding flexibility and capacity. We offer ISOClass-7 and Class-8 options depending upon the customer’s requests. There’s a lot of interest in micro, what exactly is it? Micro moulding is the art and science of injection moulding small or micro-sized plastic parts or components. The main delineators between micro moulding and standard moulding, besides the size, are the complexity and tolerances often associated with these projects. It’s not uncommon for micro moulded parts to have features or tolerances well under 25μm (.001”). To date, Accumold’s smallest commercial part roughly measures 800μm x 380μm x 300μm.The easiest way to tell if you’ve designed a part for micro moulding is when your current suppliers no quote the project claiming it’s too small, too difficult, or not mouldable at all. In some cases, that may be true but for more than three decades Accumold has produced parts that were once called impossible. Is micro moulding limited to plastic-only parts? No. At Accumold we provide all-plastics parts but also a variety of value-added processes. Operations like lead-frame, insert-moulding or over moulding are common. We have over moulded metals, fabrics, glass, ceramics, other plastics and other customer requested media. In addition to these we also have experience with two-shot micro moulding, automated sub-assemblies and packaging. What advantages does micro moulding have for medical manufacturing? The obvious advantage is centred on design. Just like consumer microelectronics, smaller, lighter, higher-functionality, more features, cost-reductions, etc, are all valid ways medical manufacturing can take advantage of micro moulding. Less-invasive surgical tools, more complex catheter deployment/delivery systems or more sophisticated personal care/diagnostic devices are just a few examples where microtechnology, micro moulding and medical manufacturing intersect. The smaller the better is often the desired design outcome. The more important advantage is quality. The engine that is necessary to build tools and produce quality micro moulded parts requires an attention to detail that is second to none. The precision needed to cut steel to microns, and process and measure the moulded parts to that same level of accuracy is the best platform for high-quality manufacturing. Be wary of suppliers that claim high-quality output but don’t have the infrastructure to drive it fully. There are no short cuts for high-precision output. What other solutions does micro moulding bring for medical manufacturers? Medical manufacturing seems to be facing increasing pressures that many consumer industries have faced for a long time. The demands to reduce cost and/or add more functionality are increasing. Medical device manufacturers are looking for ways to add competitive advantage that often end up being difficult to produce. These challenges are putting pressure on some industry suppliers that are out of their reach, stifling creativity and perhaps leaving potential behind. Good design for micro moulding offers opportunities for more complex, feature-driven, smaller and smaller parts. These capabilities can lead to design advantages like part consolidation, reduced manufacturing processes, or better yet, adding new features that lead to faster diagnostics, healing, or recovery. 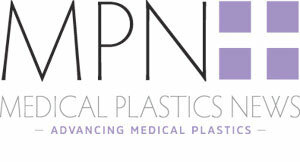 What besides the moulded parts should medical manufactures consider? In the throes of asking, ‘can this even be made?’ the most often overlooked aspect of micro moulding for medical components is the time, cost and process of pre-production qualification runs. Micro moulded components are often complex parts with multiple critical dimensions that must be measured, validated and proven repeatable. Consideration for the design and implementation of a solid IQ, OP, PQ(Installation Qualification, Operational Qualification, Performance Qualification)process for these challenging parts should not be overlooked. From the beginning, in the Design for Manufacturability stage, discussions should begin for this often-required aspect of production. What innovations has Accumold focused on recently? Recently our innovation team has been expanding our micro-moulder capabilities by enhancing our insert/overmoulding moulding expertise. The ability to overmould very delicate media like glass, fabrics or other very-expensive inserts is in high demand. Our team is asked regularly for something like, pick up a fragile, little 2mm speck, introduce it to the moulding process, add a bit of complex plastic, inspect and package it, and do it all in one closed system – then do it a million times a month or more. Our innovation team collaborates closely with our automation & robotics team to integrate these custom micro manufacturing cells to be successful. What does the future of medical manufacturing look like? The blurring of the lines between the Internet of Things (IoT) and medical device is the future. The convergence of these technologies will ask even more of the supply chain to produce increasingly complex and difficult devices. This demand will force greater reliance on strategic partnerships with key experts in micro manufacturing fields to accomplish these desired outcomes. We look for these partnerships. Our goal isn’t to be a job shop. The efforts required to build and produce high quality micro moulded components takes too much commitment to take lightly. As the pressures mount to do more with less space, we hope to be a trusted extension of our customers’ engineering team. This intimacy can lead to quicker development time and a partnership to a more robust production process. Start early in the design stage and with your ideal design. There can be many roadblocks pushing back on your idea. What might be possible, might get designed away, potentially losing competitive value in a design effort. Work this out with your expert supplier. I like to call our process, ‘conversation-based micro moulding’. Each project is different. There is no easy-button when it comes to evaluating and working through the design for manufacturability stage – especially when pushing the limits of size, geometry or tolerances. Accumold has spent the last 30 years pushing the limits of micro-injection moulding and we’re not about to stop innovating now. Together we can make the world a smaller place. What can you challenge us with?